Product #21014 | SKU SATM15 | 0.0 (no ratings yet) Thanks for your rating! 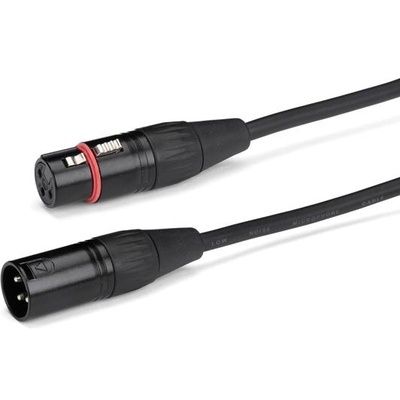 The 15-inch Samson Tourtek Cable has been designed for musicians and sound engineers who require superior sound quality and demand ultimate reliability. The cable exceeds the design goal by combining quality components like genuine Neutrik® connectors and durable low-noise wire with solid build construction. The 15-inch Tourtek Mic Cable and all it's length variations feature two 24-gauge multi-strand inner conductors wrapped in a braided copper shield with 96% coverage protected by a 6mm PVC outer jacket. The result is a premium cable with low capacitance providing excellent rejection of RFI/EMI interference, extremely low noise and superior sound quality.